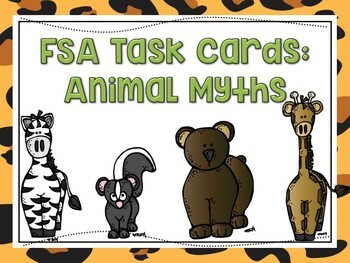 These task cards feature 6 different animal themed myths. Each myth has 4 questions about the story. 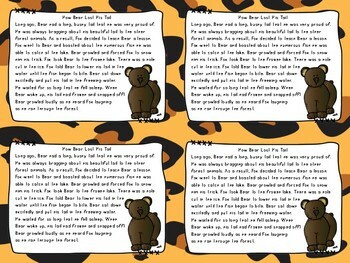 The repeated stories encourages multiple readings and fluency practice. The question types are based on the Florida Standards Assessment (FSA) question stems. 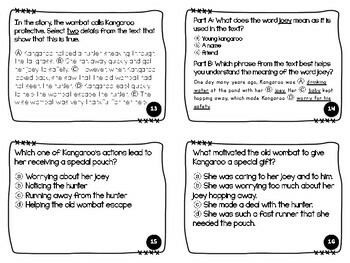 The question types included are: multiple choice, Part A/Part B, multi-select, and text evidence (hot text). Note: These task cards are designed to be printed double sided with short edge binding.